I am sure many of us parents wonder if we are doing the right thing when we cane our children for misbehaving. Are we doing them more harm than good? 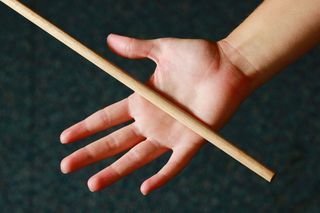 Generally, professionals working in the child mental health industry do not advocate caning as a way to discipline a child. When a parent is angry or distressed over the child’s misbehavior, he or she is unlikely to make a good judgment or an objective assessment. Also, the child might learn from his parents’ harsh discipline style and use violence to resolve his future problems. However, there are exceptions to the use of the cane. When a child is involved in an extremely dangerous behavior such that he is likely to cause injury to himself and to others, or cause huge irreparable damage, caning might be an effective and swift method to stop the misbehavior. Otherwise, caning might be counterproductive and can constitute a form of abuse if meted out in an unjustified, unwarranted, excessive or extreme manner. When this happens, caning can traumatize children and make them feel unloved by their parents. I once saw a girl who was abused after her parents’ bitter divorce. The man harbored anger and resentment toward his ex-wife and picked unfairly on the girl, who was very close to her mother. Subsequently, the girl had to be treated for post-traumatic stress disorder. Studies have suggested that adults who suffered long-term physical abuse as children tend to make poor judgments in adult relationships, re-enact their traumatic experiences and even inflict self injury to cope with their emotional turmoil, leading to tragic and disastrous results. Give clear and specific instructions: Tell the child what he can and cannot do. Say it in a calm voice when he is paying full attention to you. Using threats would only instill fear and cause the child to lie and keep things from you. Explain your expectations and the consequences of misbehavior: Setting ground rules and limits from the very start will ensure that your child is aware of your expectations. You can also demonstrate how you expect things to be done. If your child wants other choices, give him a few simple ones to choose from. Reward and encourage good behavior: Make sure any rewards or punishment meted out are immediate and effective to reinforce positive behavior and discourage bad behavior. Use creative methods to reward good behavior, like awarding privileges and extra time to play. Rewards need not be monetary. Ignore minor misbehavior and temper tantrums: Let your kids know that bad behavior will not get the attention they want. Pay attention to them only when they talk nicely and behave properly. Handle bad behavior effectively: Withdrawing your child’s privileges or implementing time-out sessions are some consequences that can be meted out to let your child learn that his behavior is unacceptable. Reassure your child that he is still loved and explain your actions after he completes the punishment. Target wrong behavior and scold appropriately: Telling a child that he has been a bad boy is unhelpful and might reinforce incorrect attitudes the child might have of himself. If you need to scold, do so privately to avoid causing him unnecessary embarrassment. Always maintain eye contact when you reprimand him so that he knows you are serious about it and gives you his full attention. If you have problems managing your anger, turn to your spouse or family members for support and assistance. Seek professional help if necessary. Children are to be enjoyed and seeing them grow up is one of the greatest joys of being a parent. Disciplining kids need not be a tug-of-war and your home need not be a battle zone with caning. It is definitely not the best punishment method as there are better and more effective ways to discipline a child. While the phrase “spare the rod and spoil the child” is familiar to many of us, it is perhaps time to rethink and refine our concepts of disciplining our children.